In each period of time, God will begin new work, and in each period, there will be a new beginning among man. If man only abides by the truths that “Jehovah is God” and “Jesus is Christ,” which are truths that only apply to a single age, then man will never keep up with the work of the Holy Spirit, and will forever be incapable of gaining the work of the Holy Spirit. Regardless of how God works, man follows without the slightest doubt, and he follows closely. In this way, how could man be eliminated by the Holy Spirit? Regardless of what God does, as long as man is certain that it is the work of the Holy Spirit, and cooperates in the work of the Holy Spirit without any misgivings, and tries to meet the requirements of God, then how could he be punished? The work of God has never ceased, His footsteps have never halted, and prior to the completion of His work of management, He has always been busy, and never stops. But man is different: Having gained but a modicum of the Holy Spirit’s work, he treats it as if it will never change; having gained a little knowledge, he does not go forth to follow the footsteps of God’s newer work; having seen but a bit of God’s work, he immediately prescribes God as a particular wooden figure, and believes that God will always remain in this form that he sees before him, that it was like this in the past and will always be thus in the future; having gained but a superficial knowledge, man is so proud that he forgets himself and begins to wantonly proclaim the disposition and being of God that simply do not exist; and having become certain about one stage of the Holy Spirit’s work, no matter what kind of person it is that proclaims the new work of God, man does not accept it. These are people who cannot accept the new work of the Holy Spirit; they are too conservative, and incapable of accepting new things. Such people are those who believe in God but also reject God. Man believes that the Israelites were wrong to “only believe in Jehovah and not believe in Jesus,” yet the majority of people act out a role in which they “only believe in Jehovah and reject Jesus” and “long for the return of the Messiah, but oppose the Messiah who is called Jesus.” No wonder, then, that people still live under the domain of Satan after accepting one stage of the work of the Holy Spirit, and still do not receive God’s blessings. Is this not the result of man’s rebelliousness? Christians across the world who have not kept up with the new work of today all hold onto the belief that they are the lucky ones, that God will fulfill each of their wishes. Yet they cannot say for sure why God will take them up to the third heaven, nor are they certain about how Jesus will come to collect them riding upon a white cloud, much less can they say with absolute certainty whether Jesus will truly arrive upon a white cloud on the day that they imagine. They are all anxious, and at a loss; they themselves don’t even know whether God will take up each of them, the varied small handfuls of people, who hail from every denomination. The work that God does now, the present age, God’s will—they have no grasp of any of these, and can do nothing but count down the days on their fingers. Only those who follow the footsteps of the Lamb to the very end can gain the final blessing, whereas those “clever people,” who are unable to follow to the very end yet believe they have gained all, are incapable of witnessing the appearance of God. They all believe they are the smartest person on earth, and they cut short the continued development of God’s work for no reason at all, and seem to believe with absolute certainty that God will take them up to heaven, they who “have the utmost loyalty to God, follow God, and abide by the words of God.” Even though they have the “utmost loyalty” toward the words spoken by God, their words and actions still feel so disgusting because they oppose the work of the Holy Spirit, and commit deceit and evil. Those who do not follow to the very end, who do not keep up with the work of the Holy Spirit, and who only cleave to the old work have not only failed to achieve loyalty to God, but on the contrary, have become those who oppose God, have become those who are rejected by the new age, and who will be punished. Are there any more pitiable than them? Those who are not cautious when they encounter the new work of the Holy Spirit, who run their mouths off, are quick to judge, who give free rein to their natural instinct to deny the rightness of the Holy Spirit’s work, and also insult and blaspheme it—are such disrespectful people not ignorant of the Holy Spirit’s work? Are they not, furthermore, the ones of arrogance, inherently proud and ungovernable? Even if a day comes when such people accept the new work of the Holy Spirit, still God will not tolerate of them. Not only do they look down upon those who work for God, but also blaspheme against God Himself. Such foolhardy people will not be forgiven, either in this age or the age to come and they shall forever perish in hell! 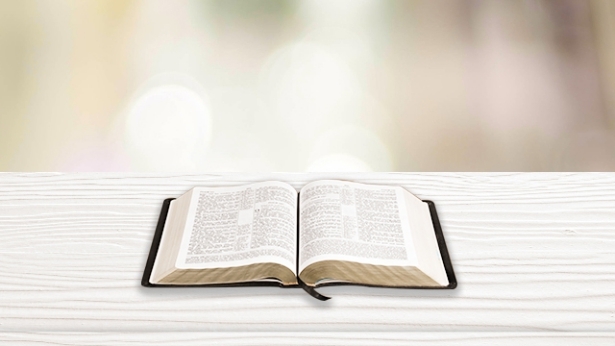 Christ of the last days brings life, and brings the enduring and everlasting way of truth. This truth is the path through which man shall gain life, and the only path by which man shall know God and be approved by God. If you do not seek the way of life provided by Christ of the last days, then you shall never gain the approval of Jesus, and shall never be qualified to enter the gate of the kingdom of heaven, for you are both a puppet and prisoner of history. Those who are controlled by regulations, by letters, and shackled by history will never be able to gain life, and will never be able to gain the perpetual way of life. That is because all they have is dirty water that they have clung on to for thousands of years, instead of the water of life that flows from the throne. Those who are not supplied with the water of life will forever remain corpses, playthings of Satan, and sons of hell. How, then, can they behold God? If you only try to hold on to the past, only try to keep things as they are by standing still, and do not try to change the status quo and discard history, then will you not always be against God? The steps of God’s work are vast and mighty, like surging waves and rolling thunders—yet you sit and passively await destruction, sticking to your folly and doing nothing. In this way, how can you be considered someone who follows the footsteps of the Lamb? How can you justify the God that you hold on to as a God who is always new and never old? And how can the words of your yellowed books carry you across into a new age? How can they lead you to seek the steps of God’s work? And how can they take you up to heaven? What you hold in your hands is the letters that can provide but temporary solace, not the truths that are capable of giving life. The scriptures you read are that which can only enrich your tongue, not words of wisdom that can help you know human life, much less the paths that can lead you to perfection. Does this discrepancy not give you cause for reflection? Does it not allow you to understand the mysteries contained within? Are you capable of delivering yourself to heaven to meet God on your own? Without the coming of God, can you take yourself into heaven to enjoy family happiness with God? Are you still dreaming now? I suggest, then, that you stop dreaming, and look at who is working now, at who is now carrying out the work of saving man during the last days. If you do not, you shall never gain the truth, and shall never gain life. Those who wish to gain life without relying on the truth spoken by Christ are the most ridiculous people on earth, and those who do not accept the way of life brought by Christ are lost in fantasy. And so I say that the people who do not accept Christ of the last days shall forever be despised by God. Christ is man’s gateway to the kingdom during the last days, which none may bypass. None may be perfected by God except through Christ. You believe in God, and so you must accept His words and obey His way. You must not just think of gaining blessings without receiving the truth, or accepting the provision of life. Christ comes during the last days so that all those who truly believe in Him may be provided with life. His work is for the sake of concluding the old age and entering the new one, and is the path that must be taken by all those who would enter the new age. If you are incapable of acknowledging Him, and instead condemn, blaspheme or even persecute Him, then you are bound to burn for eternity, and shall never enter the kingdom of God. For this Christ is Himself the expression of the Holy Spirit, the expression of God, the One whom God has entrusted to do His work on earth. And so I say that if you cannot accept all that is done by Christ of the last days, then you blaspheme the Holy Spirit. The retribution that should be suffered by those who blaspheme the Holy Spirit is self-evident to all. I also tell you that if you oppose Christ of the last days, and deny Him, then there is no one who can bear the consequences on your behalf. Furthermore, from this day onward you will not have another chance to gain the approval of God; even if you try to redeem yourself, you will never again behold the face of God. For what you oppose is not a man, what you deny is not some puny being, but Christ. Are you aware of this consequence? You have not made a small mistake, but committed a heinous crime. And so I advise everyone not to bare your fangs before the truth, or make careless criticisms, for only the truth can bring you life, and nothing except the truth can allow you to be reborn and behold the face of God. Many have a bad feeling about the second incarnation of God, for man finds it difficult to believe that God would become flesh to do the work of judgment. Nevertheless, I must tell you that often the work of God greatly exceeds man’s expectations and is difficult for the minds of men to accept. For men are merely maggots upon the earth, while God is the supreme One that fills the universe; the mind of man is akin to a pit of foul water that gives rise only to maggots, whereas each stage of the work directed by the thoughts of God is the distillation of God’s wisdom. Man constantly wishes to contend with God, to which I say it is self-evident who will suffer loss in the end. I exhort you all not to regard yourselves as more important than gold. If others can accept the judgment of God, then why can you not? How much higher do you stand above others? If others can bow their heads before the truth, why can you not also do so? God’s work has an unstoppable momentum. He will not repeat the work of judgment again for the sake of your “merit,” and you will be filled with boundless regret at letting such a good opportunity slip. If you do not believe My words, then just wait for that great white throne in the sky to pass judgment upon you! You must know that all of the Israelites spurned and denied Jesus, and yet the fact of Jesus’ redemption of mankind still spread to the ends of the universe. Isn’t this a reality that God made long ago? If you are still awaiting Jesus to take you up to heaven, then I say that you are an obstinate piece of deadwood. [a] Jesus will not acknowledge a false believer such as you who is disloyal to the truth and seeks only blessings. On the contrary, He will show no mercy in casting you into the lake of fire to burn for tens of thousands of years. The world is falling! Babylon is in paralysis! The religious world—how could it not be destroyed by My authority on earth? … The knowledge and external behaviors of the Pharisees did not save their relationship with Jesus Christ. On the contrary, it harmed them, and it was their knowledge and conceptions, along with the image of God in their hearts, that impelled them to condemn the Lord Jesus. It was their imaginations and minds which misled them, which covered their spiritual eyes, causing them not to recognize the Messiah that had already come, to do all they could to find evidence and to gain a foothold in order to condemn the Lord Jesus. This is their ugly face—using the excuse of upholding God’s original work to condemn God’s realistic work in the present. Of course, this is a mistake that people living in any age are liable to make—using old doctrines and rules to measure and condemn truths that they have never heard before, thinking that they are adhering to the true way and maintaining their purity before God, that they are being loyal to God. But what are the facts? God is continually doing His new work, continuing His management, always new and never old. And what about people? They always hold fast to some obsolete things that they think to be the entirety of God’s expressions, patting themselves on the back, swollen with arrogance, waiting for God to bestow rewards on them with an attitude that believes God would never discard them, would never mistreat them. And what is the outcome? 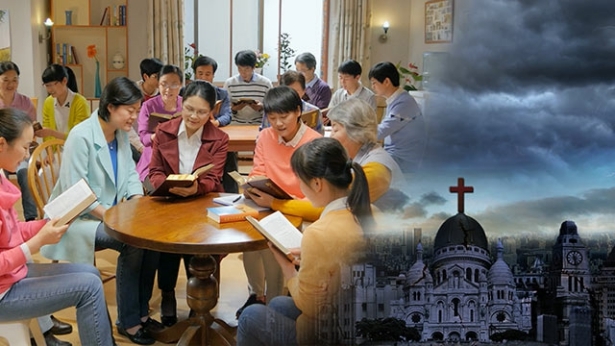 God’s work continues uninterrupted, with more people of the new age following Him and accepting His new work, while those who wait for God to bestow rewards on them are eliminated by God’s new work, and even more people fall into God’s punishment. At the moment when their punishment begins, their life in believing in God is over, and their ending, and their destination, are brought to an end. This is something that no one wishes to see, but it happens unknowingly before our eyes. So is this down to God’s disposition being so merciless, or is it that people’s seeking is at fault? Is it really not worth mankind thoroughly examining themselves? Next：Why does God have different names in different ages? What are the meanings behind God’s names? 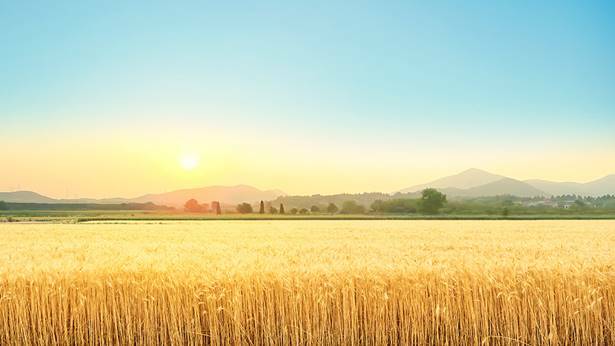 What is the difference between the wheat and the tares? Because those in religion are incapable of accepting God’s new work, and only hold to the old work of the past, thus God has forsaken these people, and does His new work on the people who accept this new work. These are people who cooperate in His new work, and only in this way can His management be accomplished. ...these are people who are blessed by God.